Tim Cook added his name to this important petition. With its recent purchase of educational startup LearnSprout and its “Hour of Code” programming classes at Apple Stores, Apple has demonstrated that it’s pretty darn serious about education. 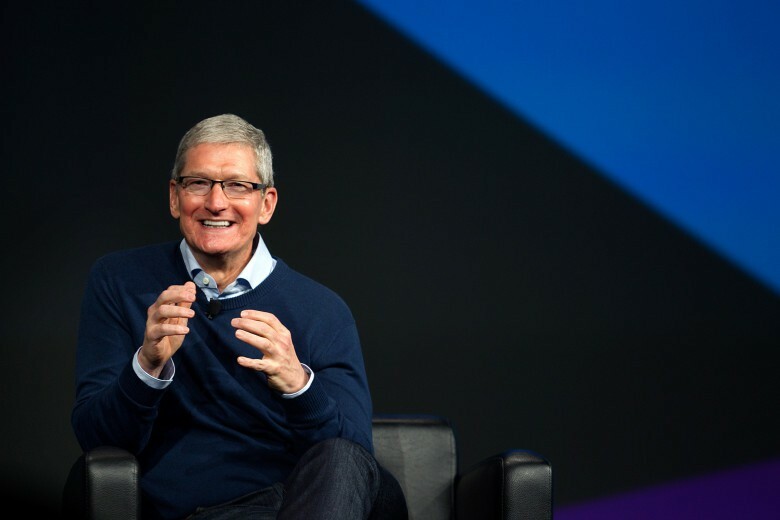 Proving this once again, CEO Tim Cook this week put his name to a petition asking the U.S. Senate and House of Representatives to provide $250 million in federal funding to school districts so as to allow every K-12 student in the United States to learn how to code. People really want their chronologically ordered feeds to stay. 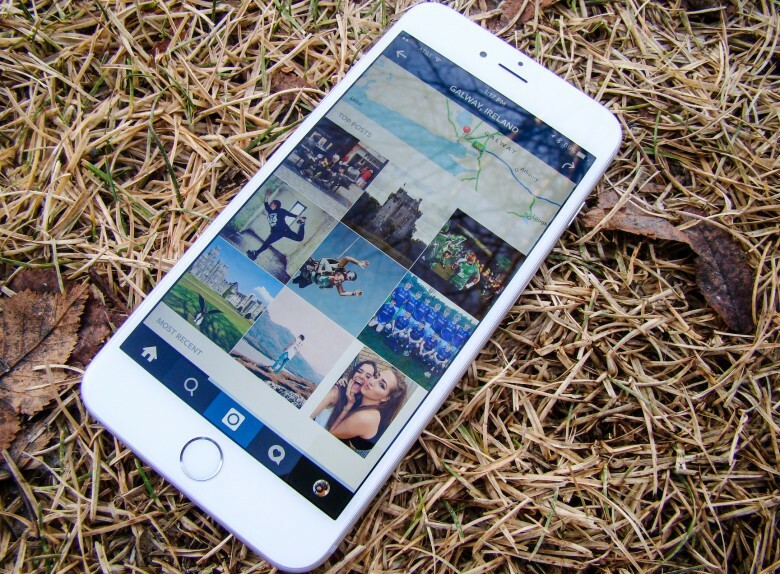 An online petition asking Instagram to reverse its decision to get rid of chronological order in users’ feeds has gathered almost 50,000 signatures in a day. User resistance has been immediate, fierce, and completely opposed, surprising no one. 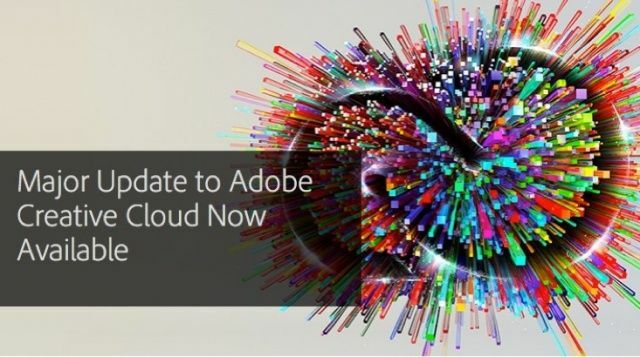 Adobe has today made its complete Creative Cloud suite available to all as it migrates to a compulsory subscription-only model. It’s been a controversial move that a lot of Adobe users aren’t happy with, but as of today, the only way to use Adobe’s apps is to bite the bullet and sign up to the $50 per month plan. The counter petition on Change.org. Mark Shields’ petition on Change.org sparked by Mike Daisey’s This American Life story earned over 250,000 online signatures and led to protests outside Apple stores across the country. That doesn’t sit well with Paul Dost, who launched a counter petition after the TAL story was debunked. Cult of Mac reached out to Dost via email for the story behind the anti-petition petition. 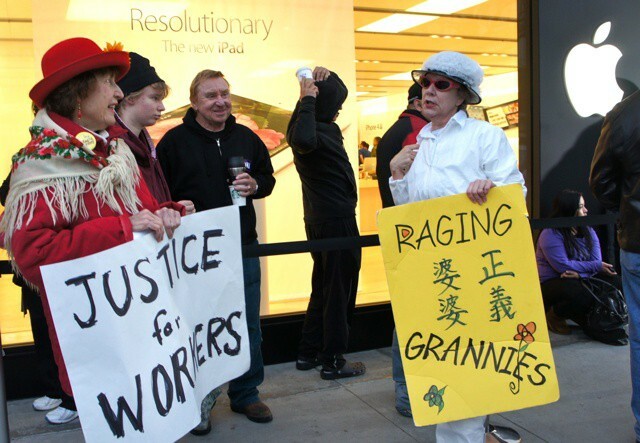 The Raging Grannies at the Palo Alto Apple store. Apple fans and journalists asking them why they stood in line overnight weren’t the only ones outside retail stores for the debut of the latest iPad. Consumer groups protesting labor conditions at the factories in China where those shiny new tablets were made were also out making their voices heard. The protest at Apple's San Francisco store, via Cory Moll. Tourists wandering into Apple Stores in six cities around the globe found themselves in the middle of a media storm about the Cupertino company’s labor policies in China. 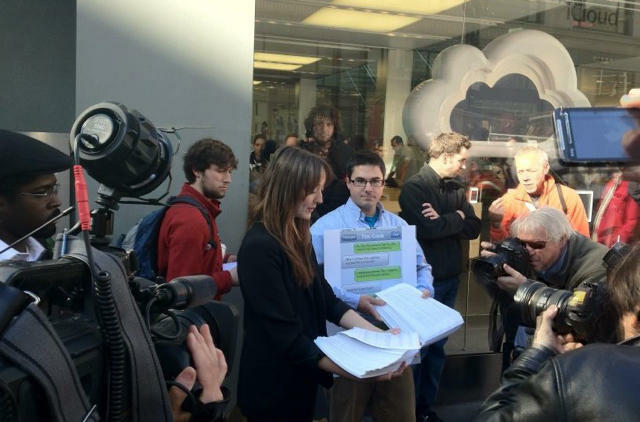 Members of two protests groups, who say they represent Apple customers, delivered petitions they claim are 245,000 signatures strong. Change.org and SumOfUs delivered petitions to Apple Stores today in Washington, DC, New York, San Francisco, London, Sydney and Bangalore. Though the San Francisco protest appears as tiny as the one in New York, it did have one participant of note: Apple retail worker Cory Moll, who works at the downtown store.